Anything & Everything: The World's First Spaceline! Ever heard before Virgin Galactic? What is it? 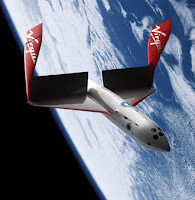 Virgin Galactic is the world's first spaceline (not airline)! Click HERE to read more about it, interesting.